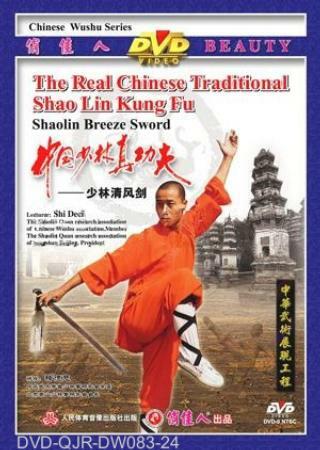 This swordplay is the most elegant one in Shaolin weapons. The attack is hidden in its elegance. The sword is played as if the light wind blows the trees. This swordplay is now used mainly for entertainment and health-preservation and is very popular throughout the country. Main techniques are thrust, cloud, chop and swing in figure-8 form.